The Hyundai Motor Company is just one of the faces of Hyundai’s very large and multifaceted organisation. The Group is active in shipbuilding, steel, petrochemicals, heavy machinery, aerospace, electronics and financial services but in Australia it’s all about cars. A Korean man by the name of Chung Ju-Yung was Hyundai’s founder. Born in 1915, Chung Ju Yung lived as the eldest son of a very poor peasant farming family in the mountainous regions of Northern Korea. Being forced to work as a young boy to provide food for the family, Chung Ju-Yung tried to run away. It was on his third attempt that he broke away to settle in Seoul, and after some time, he was able to set up a rice shop. He married in 1939. However, in 1940, the Japanese, who occupied Korea at the time, made it illegal for Koreans to own such critical food trades as rice shops, and the authorities forced Chung Ju-Yung to shutdown. He then became a truck driver and later the owner of his own delivery service. While running his own delivery service, he gained the knowledge of repairing the trucks that he owned and operated. This was to be the best opening for Chung Ju-Yung’s great understanding, and knowledge of mechanics and engineering to be nurtured and grown. The obvious progression was Chung Ju-Yung’s starting up and establishing a garage and repair firm, known as the “Ah-do Service” auto repair shop in Seoul in March 1940. The name was later changed to Hyundai Auto Service. The speed with which Hyundai has grown from doing simple mechanical repairs in a Seoul garage to a multifaceted organisation where allsorts of products and services are offered worldwide is a credit to Chung Ju-Yung’s determination and entrepreneurship. It was only 4 decades ago that Hyundai entered the car manufacturing field thanks to an agreement with Ford. Hyundai started to produce the Ford Cortina and Ford Granada for the South Korean domestic market from 1968 through to 1976. This success gave the Korean government confidence to seek out Hyundai’s expertise as one of the four leading companies to submit detailed plans to develop Korean cars by the year 1975. The other three were Daewoo, Kia and Ssangyong, the other popular Korean makes found at your local car dealers..
After submitting a master plan, which included the capacity for a new plant to develop 80 000 Korean cars, Hyundai was given the go-ahead. Hyundai then approached 26 firms in five countries to acquire different technologies. Ten firms in Japan and Italy were asked for a car design. Four firms in Japan and the United States were asked for stamping shop equipment. Five firms in the United Kingdom and Germany were asked for casting and forging plants. Two firms in Japan and U.K. were asked for engines and, last, but not least, U.S. and U.K firms were asked for an integrated parts/components plant. Out of the enquiries, Hyundai was able to enter into a licensing agreement with Giorgio Giugiaro’s ItalDesign for body styling and design. Also, Hyundai managed to hook up through a licensing agreement with Mitsubishi for gasoline engine, transmission, rear axle designs and casting technology. And in 1974, Hyundai hired the former British Leyland Motor Corp Ltd president; George Turnbull, as its vice president and six other British technical experts for a three year period for the successful development of its first indigenous model, the Hyundai Pony. The Hyundai Pony was a small car that was unveiled at the 55th Turin International Motor Fair. The engine, transmission and suspension were all obtained from an older model of the Mitsubishi Lancer, and the exterior design was created by Giugiaro’s ItalDesign studios. Hyundai never looked back, and although the first models to come from the Korean car manufacturer were very basic and light in construction, they were very successful, particularly on the domestic market. 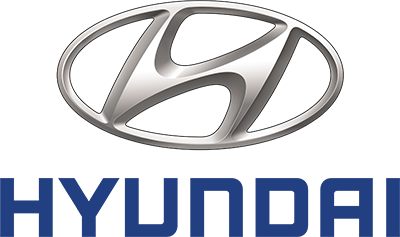 The mid-eighties were years of growth for Hyundai and the commencment of Hyundai Australia. New models that were being produced were well engineered, comfortable and practical – if still a little cheap and light in construction. Crash statistics and results were not of a highly commendable level…yet (they are now, thankfully). The nineties had Hyundai Australia producing the classic Asian flavoured automobile, where cars with a range of body styles, good economy and high levels of gadgets and options were on the market. Sadly, the cars of the nineties did not rate well in car safety tests, despite being vehicles of great value and low cost. Eventually, in the late nineties, Hyundai realised that safety was one of the important ingredients of a successful motor vehicle, and models built up to current day status are as safe as any other car on the road if not more so. New Hyundai models in Australia are superbly built, stylish and luxuriously equipped. Location and good trade deals see imported Hyundais rolling in from South Korea to the docks in Sydney and Melbourne very frequently. With this sort of mix, Hyundai is the fastest growing car manufacturer in the world and certainly has cars on offer that are capable of challenging the class leaders.